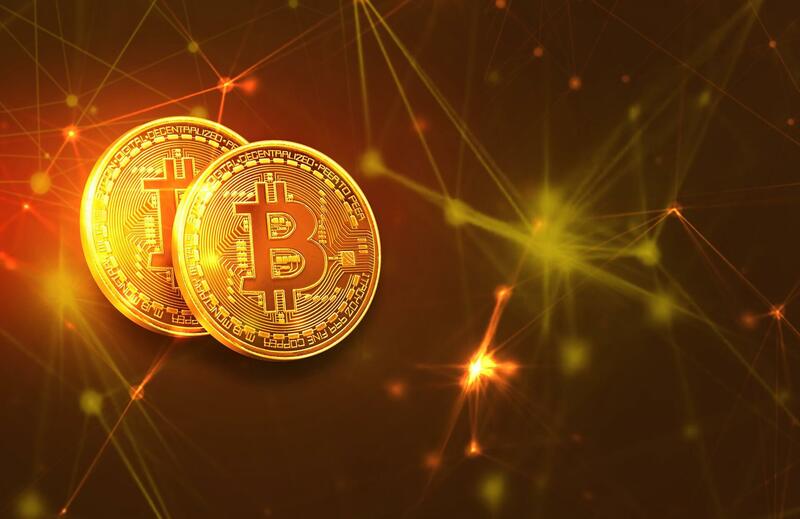 On March 20, Binance Research released a report that looked into the correlation between the price of Bitcoin and other cryptocurrencies. As most crypto traders would probably guess, the report found that Bitcoin’s price is highly correlated to that of other cryptocurrencies. But the report also found that the correlation between crypto trading returns measured in US Dollar have increased since December 2018, while the correlation between trading returns measured in BTC has fallen. The report suggests that Bitcoin’s dominance as a base pair in crypto trading is being eroded by stablecoins. The report looked at the market cap of the top 30 cryptocurrencies between December 1, 2018, and March 1, 2019. It found that the value of other cryptocurrencies were heavily influenced by Bitcoin, with a correlation score of 0.78. A correlation score of 1 would mean that the prices of other cryptocurrencies moved precisely in-line with Bitcoin, so a score of 0.78 means that Bitcoin’s price movement is very closely linked to the price of other cryptocurrencies. The report also looked at average returns for holding the top 30 cryptocurrencies over the 3-month period, both in terms of US Dollars and Bitcoin. US Dollar returns were much more closely linked, with a correlation rating of 0.67, compared to a rating of 0.20 for BTC returns. And the strength of the correlation between US Dollar cryptocurrency returns has grown over the past year, with 29 of the top 30 having a minimum correlation rating of 0.648 now, compared to 0.51 a year ago. 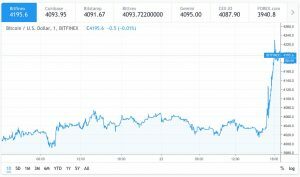 At the same time, the correlation between BTC returns has fallen from 0.43 to 0.24. Binance attributes the increasing correlation between US Dollar crypto returns to the increase in the availability of stablecoins. A year ago, US Dollar Tether was the only widely-used stablecoin used for cryptocurrency trading. The past 12 months have seen the introduction of Coinbase and Circle’s USD Coin, True USD, Gemini Dollar, and Paxos Standard. And while these are all based on Ethereum, stablecoins have started being introduced to other networks. TRON recently announced plans to bring a version of Tether to the TRON blockchain network, while facilitating integration with different stablecoins is a big part of the value proposition between Stellar and IBM’s World Wire payments network. According to the report, in March 2018, Binance offered just five stablecoin trading pairs and stablecoins accounted for less than 10% of total cryptocurrency trading volume. Today, Binance offers more than 100 stablecoin trading pairs and they account for more than 30% of total crypto trading volume. The report uses NEO as an example of stablecoins’ increasing importance to crypto traders. A year ago, NEO was one of the five cryptocurrencies that could be traded directly with Tether on Binance, and the USDT/NEO pair made up 45% of NEO’s Binance trading volume. Now, 66% of NEO’s trading volume comes from stablecoin pairs, with the vast majority of this being USDT/NEO. We took an in-depth look at the differences and similarities between the leading stablecoins in an article published last month. Tether has long been controversial in the cryptocurrency space due to accusations it isn’t backed 1:1 by real US dollars, as its creators have always claimed. But despite long-term opposition from many within the crypto space and a much higher number of competitors, Tether still dominates stablecoin cryptocurrency trading. With a market cap above $2 billion, Tether is the only stablecoin listed in the top 10 cryptocurrencies. Its closest competitor, USD Coin, is ranked 267th with a market cap that’s less than $250 million. Some of the top 30 cryptocurrencies are following these general trends much more closely than others. The report found Dogecoin was an outlier, with its price movements being much less correlated to the rest of the cryptocurrency market than any other coin. The report attributes Dogecoin’s lower correlation due to the fact its one of the few cryptocurrencies in the top 30 that isn’t listed on its platform. Being listed on Binance typically means greater trading volume and ease of exchanging an asset into alternative cryptocurrencies, resulting in a greater correlation rating between the cryptocurrencies it lists. MakerDAO and Tezos are also not listed on Binance and are similarly less correlated to the performance of other cryptocurrencies. NEM is given as an example of the Binance effect on price correlation. A year ago, NEM and Litecoin were the two least correlated of the top 30 cryptocurrencies, excluding Dogecoin. Since NEM’s listing on Binance, its correlation rating with Litecoin has risen from 0.51 to 0.648. As we discussed in another recent article, Coinbase and Binance seem to be going all-out to established themselves as “the Google of Crypto.” While Binance has encroached on Coinbase’s territory by offering fiat-to-crypto conversion, Coinbase is competing with Binance by expanding the range of cryptocurrencies available on its platform. The Binance report suggests that as more coins are added to Coinbase, the overall correlation between crypto assets is likely to continue increasing. But while Coinbase’s increased portfolio of crypto assets is likely to see correlations increase in the longer term, the current “Coinbase effect” is to decrease correlations. Ethereum Classic was added to Coinbase over the past year, and it saw its correlation score to other cryptocurrencies drop as a result. Other cryptocurrencies have diverged from the rest of the market for their own reasons. The much-hyped BitTorrent Token ICO on Binance Launchpad is suggested as causing Binance Coin (BNB) and TRON’s TRX token to diverge from other altcoins, as these tokens were required to participate in the ICO. BNB has also been affected by the Fetch.AI ICO and the launch of the Binance DEX. We recently looked into BNB’s divergence from Bitcoin, as BNB’s price seems to be moving more and more independently of Bitcoin’s. WAVES announced in December it had raised $120 million to create a private version of its blockchain. The contentious Bitcoin Cash hard-fork Satoshi Vision is also noted as being less correlated to the fortunes of other cryptocurrencies, which will come as little surprise to those who followed the drama surrounding its creation. Finally, the report notes that coins which use a Proof-of-Work (PoW) mining-based consensus mechanism are more strongly correlated with each other than they are with coins that don’t. While some of the top ranked PoW coins currently includes Bitcoin, Ethereum, Litecoin, and Bitcoin Cash, Ethereum is planning to move to a Proof-of-Stake (PoS) model in the future. The report notes it will be interesting to see whether this affects Ethereum’s correlation with Bitcoin. 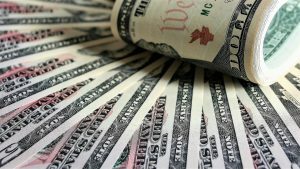 While the increasing correlation of US Dollar returns on cryptocurrency assets is in part due to the increased availability of stablecoin trading pairs, the report notes that the bear market is likely the biggest single reason. The trends identified continue those laid out in a report Binance links to from a year ago, available on The Block Crypto. This report showed a similar trend of crypto assets becoming more closely correlated throughout 2018 compared to 2017. Of course, the majority of the last bull run took place during 2017. The days of coins tripling in value in a single day are long behind us and there are consequently now far fewer extreme divergences from overall market trends. The report notes that it’s not possible to draw any conclusions over whether the same patterns it identifies would be repeated in different market conditions. In an optimistic note for crypto hodlers, the report gives December 2018’s lows as the bottom of the bear market. Whether that will still be true a year from now is anyone’s guess, but it seems fairly likely that the trends identified in Binance’s report will continue.